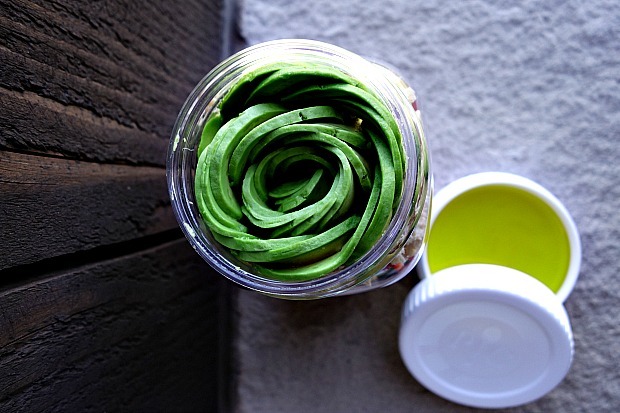 Yesterday I shared with you how to make a Salad in a Jar and topped it off with an Avocado Rose. Since I had a few people message me asking me how I made the rose I decided I show you today. The method is really quite simple as displayed in this collage. Starting from the top right and going down until the finished product I’ll explain each step. Lay peeled avocado cut side down onto a cutting board. Slice thin horizontal slices all the way across. Be sure to hold your hand at the front of the avocado where you start slicing to keep slices in place. Carefully fan out the avocado slices with your hands creating a wide open “C” shape as shown above. Starting at the smallest end start to curl in the avocados to create a circle. Your finished product is a beautiful Avocado Rose. That’s all there is to it. Now you try it and please post your photo on my Facebook Page. How fun, I can think of a zillion ways to use this beautiful technique! Great, I’ll look forward to seeing the Avocado Roses on your blog! What a magnificent tutorial!!! I hope to try it one day!! I don’t know if I’d go as far as magnificent but thank you. I had planned to do a video but didn’t have my tripod. Very easy to create. 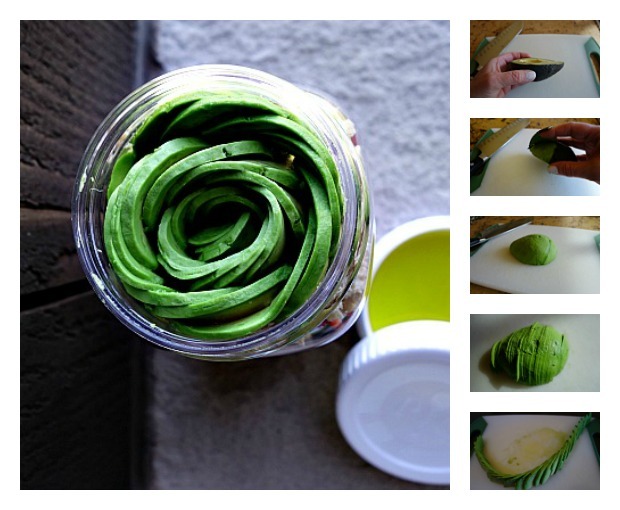 I’m sure you’ll make a beautiful avocado rose! Such a fun and beautiful tutorial! I love it. Cool! The finished result looks pretty complicated, but your pictures and instructions really help make this a more accessible task. Thanks! It is easy, but somehow I don’t believe mine would turn out as nice as yours!